Recently, I got my arm slightly burned by an iron rod…don’t ask. 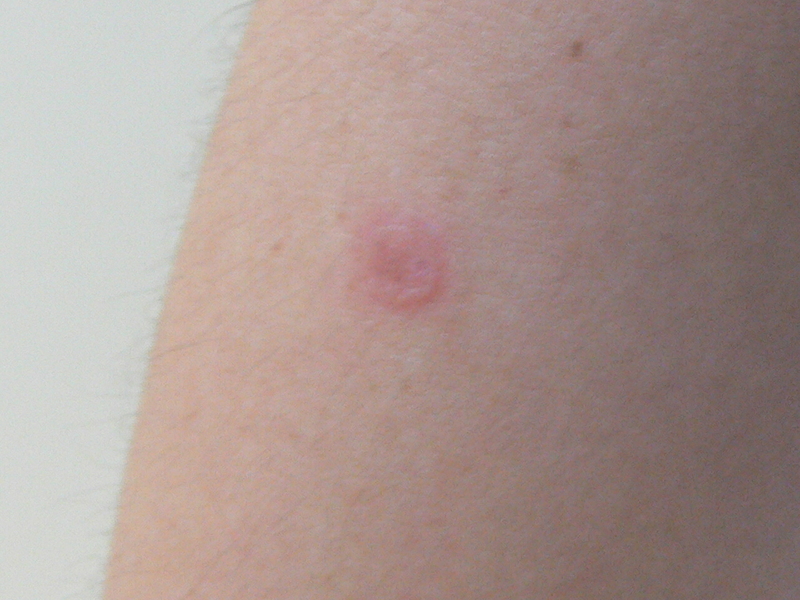 At first, I thought it was a mosquito bite as it looked like one. 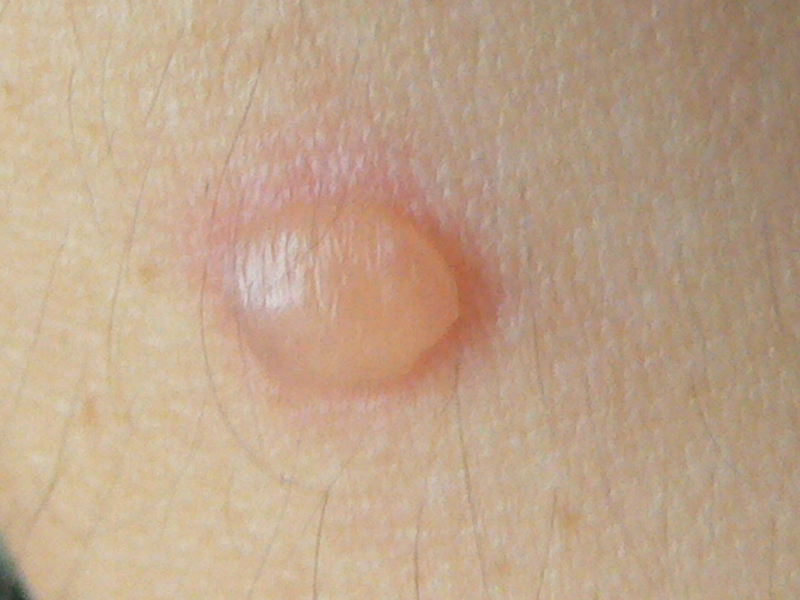 The next day a blister developed. I know medically, you’re not supposed to pop the blister as the water or serum beneath the pillow like blister is there to protect the wound and not cause infection. 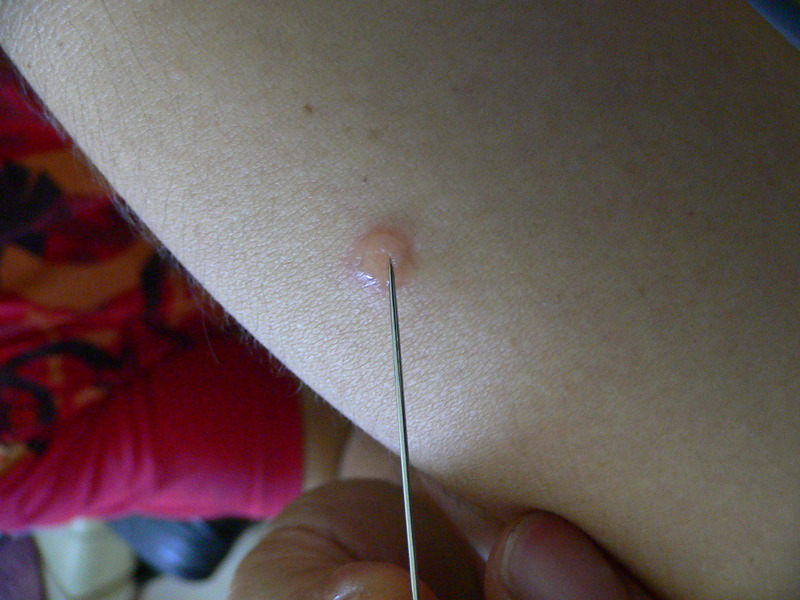 But my blister is really small, like 5mm in diameter. I felt like popping it today. 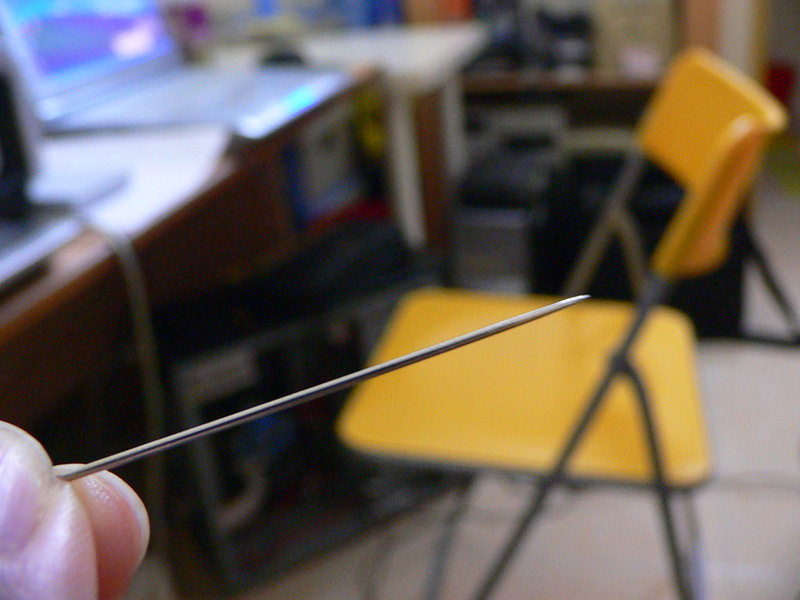 I took out one of my sewing needles, didn’t even bother to get the smallest one. I had to pop it tonight! Pop, there it goes! Oops I think I forgot to even sterilize the needle beforehand. Don’t follow my example! Poking water bubble from leonalim on Vimeo. There wasn’t even any pain from it. Video shows me pushing the serum out with the needle. And this is how it looks after. Gosh, hopefully there won’t be an obvious scar on my arm, I have enough scars already. Did you sterilized the needle first?